April 2019 Hypothermia + Patreon Giveaway! 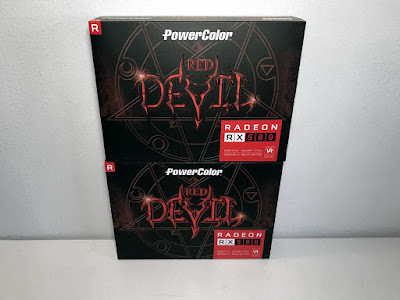 This month's Hypothermia / Patreon giveaway is a pair of PowerColor Red Devil Radeon RX 580 video cards! Also, just a reminder that Hypothermia readers are allowed one entry per day and, as an added bonus for being a Patreon backer, you automatically get an extra daily entry for supporting Hypothermia. If you aren't a Patreon backer, now would be a good time to join! To enter, simply drop us an email at contest@hypothermia.us with "PowerColor RX 580" in the subject line. We do NOT share your email address or information with anyone...EVER.